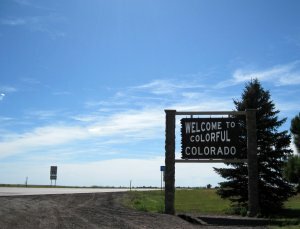 Northern Colorado is a great place to call home, evidenced by the thousands of people who have moved to this area in recent years and the projections of thousands more on the way. As with any growing community, housing is one of the major hot topics as developers, government, and investors find creative ways to meet this demand. The steady growth has made this area a hotbed for the real estate and rental market, and many are on the hunt for a Northern Colorado investment property to take advantage of our strong market. Location, Location, Location – As with any home transaction, it’s important to consider the location of the home as you consider a Northern Colorado investment property. While Northern Colorado often gets lumped into one location, there is actually quite a bit of difference between the cities and neighborhoods in this region. Denver, Fort Collins, and Boulder are often the biggest markets here, but many of the smaller cities have value as well. Consider the location of the home, the nearby schools, and available tenants as you decide which Northern Colorado investment property to buy. Job Market – It’s a job seeker’s market in Northern Colorado, and many industries are facing a shortage of workers. Big tech companies in Denver, Boulder, and Fort Collins have resorted to recruiting out-of-state workers to fill the spots, so if your rental is near a strong job market, you’ll have a good set of tenants to fill the vacancy. Consider the job market near the home as you look for a Northern Colorado investment property. Rental Trends – In general, the rental market in Northern Colorado is very strong, and landlords have little trouble finding tenants for their homes. However, Northern Colorado is an expansive area and trends can vary widely city by city, and even neighborhood by neighborhood. Denver has a tighter rental market as many are now opting to rent, rather than buy, while Boulder’s rental rate is cooling a bit with high rent prices. Fort Collins rental vacancy rates are rising slowly, but so are rental prices. And as with many bustling rental markets, affordable housing in Northern Colorado can be hard to come by. Ultimately, as you consider in a Northern Colorado investment property, it’s important to consider the trends for the exact neighborhoods you’re looking to buy in to help you determine if it’s a good investment. Return on Investment – As with any investment, it’s wise to consider what you’ll be able to charge for rent or what your potential resale value will be, and how that will ultimately affect your return on investment. Study rental and sales trends for the area and calculate what you’ll need to see every month to make it worth your while. Cost of Investment – Before you purchase a Northern Colorado investment property, make sure you look into your total cost of investment. This not only covers the cost of the home, but any repair work and ongoing maintenance you’ll need to be doing to the home. This might also cover things like property taxes, insurance, and HOA fees. Keep this in mind as you pencil out your potential returns. If you’re in the market for a Northern Colorado investment property, look no further than NOCO Invest. If you’re an investor looking to add cash-flowing properties to your rental portfolio, or a rehabber looking for great deals with wide margins to fix and turn around for a profit, or someone ready to make a move with a Northern Colorado investment property, we can help you find just the right place. We have an insider’s advantage to help you find Northern Colorado investment properties at 30-50% below market value. Contact us to learn more about how we can work together to make your real estate investing goals a success.